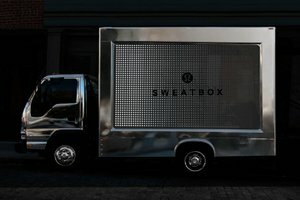 This Mobile Pop-Up Truck is fully customizable. 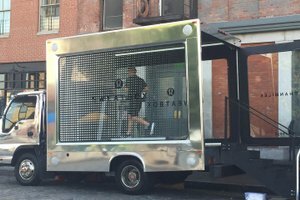 Bring your idea to life and promote your brand with a mobile pop-up. 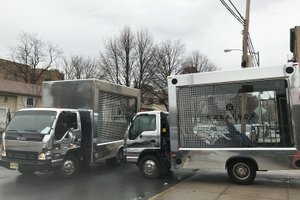 These high-end glass trucks can bring your brand wherever you want to be: you can rent these trucks and customize them for one day, one week, a month or longer term. The interior space is 9' long x 8' wide with a fully-functional door/entrance into the space, The space itself is open, and you can design it however you want. Create an experiential pop-up that physically engages with your customers, with this super flexible set-up. We provide a super quick turnaround and a full turn key solution. Send your inquiry directly to us and we can discuss the next steps. 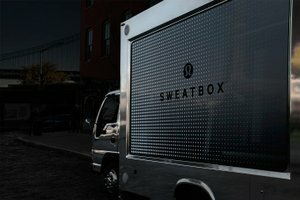 We are excited to bringing your brand experience to life, anytime, anywhere!